This is one of the best hats you can buy! It's super comfortable, has an amazing BFTA logo embroidered on it, and it fits ANY SIZE head! The hat is made of pre-washed cotton - the dome is khaki and the bill is faded forest green. The embroidery is dark green. 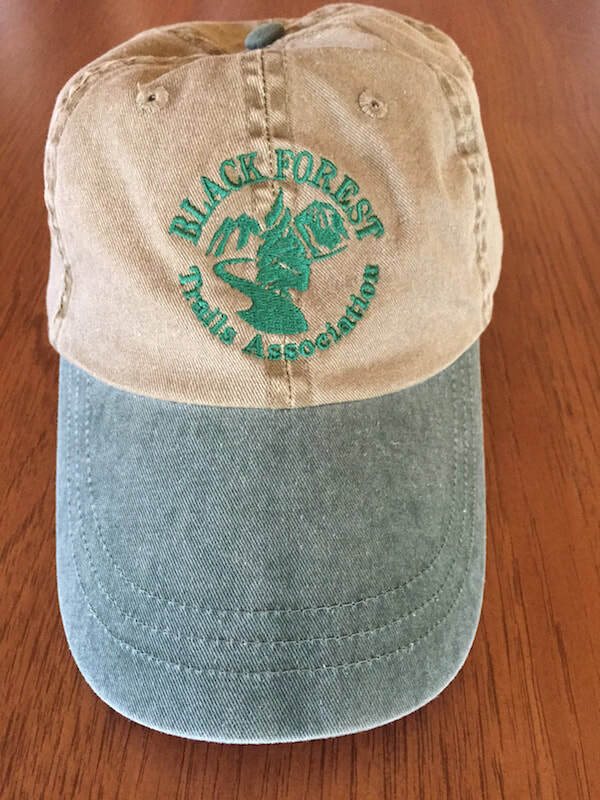 Show your support for the Black Forest and help support the BFTA in the process. All profits go the the Black Forest Trails Association, a 501c3 non-profit organization. Members get premium pricing for the logo hat. JOIN NOW to get premium pricing. 1) You can pick up your hat at R&R Cafe in Black Forest. We'll have a BFTA member meet you to personally deliver your hat.